Oh, how I love baskets and bins and jars! My favorites are the ones that look pretty, but are also functional and keep me organized at the same time. 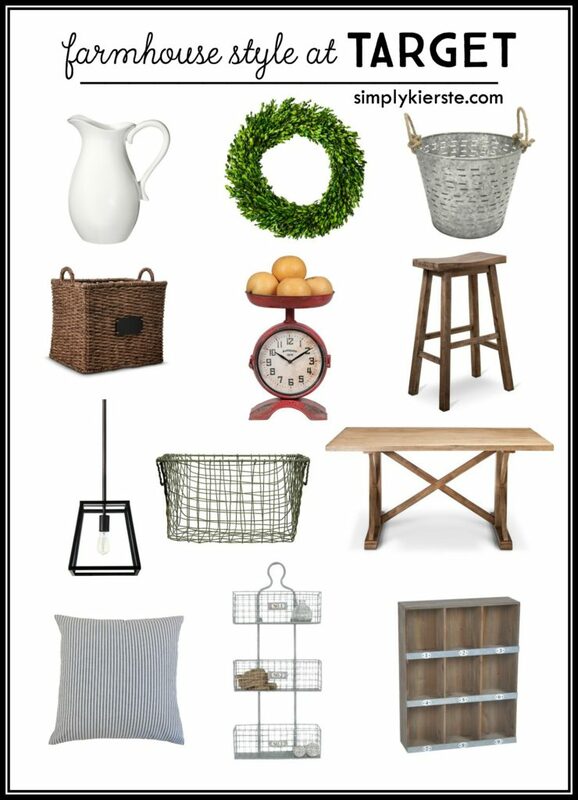 While Old Salt Farm is being built, I’m on the search for farmhouse storage ideas for my pantry, craft room, laundry room, playroom, and well, pretty much the whole house! Affiliate links included below for your convenience. If you click on a link and make a purchase, I may receive a small commission at no extra cost to you. I love them all! Glass jars are perfect for the bathroom, pantry, and laundry room, and the baskets and bins can be used in just about every single room of the house. If you’re on a budget like I am, it’s important to find great storage items for a bargain. Sometimes if I REALLY love something, I’m willing to pay a little more for it, but most of the time I want to get a good deal. I always search for coupon codes and coupons before buying, and I watch my favorite stores for sales and clearance. Check out the dollar stores in your area–often times I’ll come across the perfect thing at a bargain price. 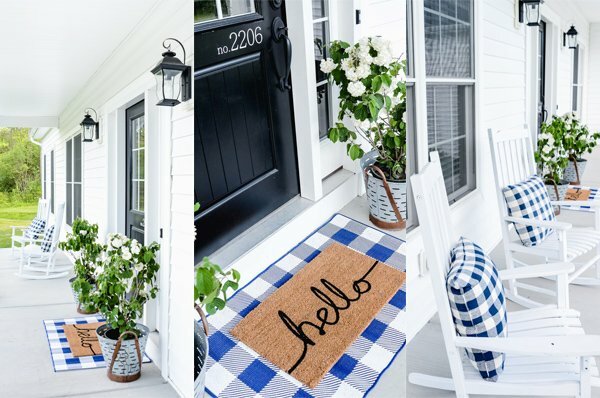 For more farmhouse style…don’t miss these posts! 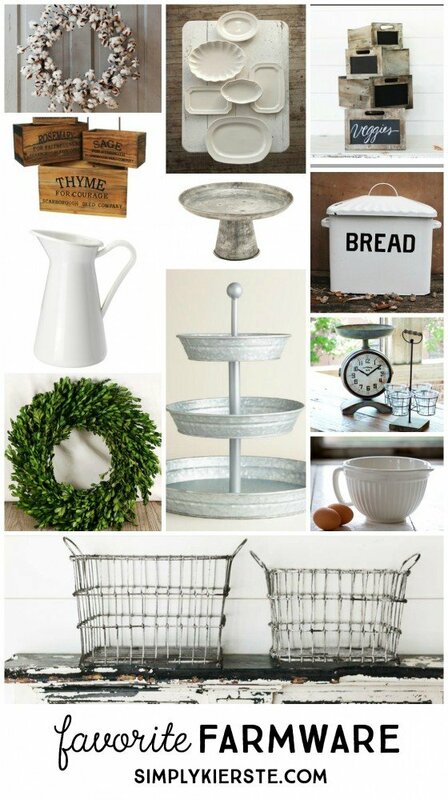 Favorite Farmware…and where to find it!